Dr. Danielle Brown became an associate of Dr. Downs in 2016 upon receiving her degree from Herman Ostrow School of Dentistry at USC. For her undergraduate degree, Dr. Brown graduated from Loyola Marymount University with a Bachelor's in Business Administration in 2008. Yet, she wanted to have a significant impact on her community, something she could feel passionate and proud of. Eager to explore, Dr. Brown began an internship working alongside Dr. Downs. He showed her the immediate impact a dentist can have on a patient and be able to immediately transform their frown into a smile. This is what ignited the flame to pursue a career in dentistry. As her longtime mentor, Dr. Downs has given Dr. Brown the tools and experience to thrive in their field and provide for their community. 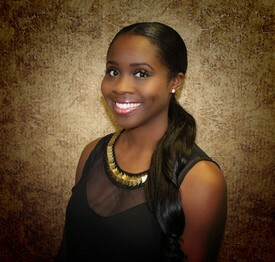 Dr. Brown is an active member of Western Los Angeles Dental Society and serves on their board. She is also a member of the California Dental Association, American Dental Association, and the Angel City Dental Society. Kristian received her Bachelor’s degree in Business Management and minor in Marketing from Everest College. This propelled her into the field of patient care and customer service for the past 10 years. Kristian joined our practice in January 2016 bringing with her bright new ideas. As our Marketing Coordinator, she keeps us connected with our patients and brings them the latest news happening in our office. In her spare time, Kristian enjoys spending quality time with her family as well as running an Indie music blog. She gives individuals in the music and entertainment industry a platform to express themselves by forming music panels and organizing events. As a graduate from United Education Institute she began her career in dentistry. 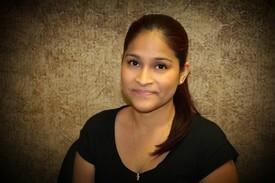 Roxana has worked at Downs Dental as a registered dental assistant since 2007 and soon became our Back Office Supervisor. She coordinates our dental implant, Zoom Whitening and Invisalign® treatment programs, as well as, maintaining the efficiency and diligence of our back office. What she enjoys most she her ability to lead and be very proactive. From the many years alongside Dr. Downs, she has refined her skills and techniques to precision. Seeing the look on her patient’s face after being alongside them through every treatment and revealing their desired smile, is her driving force to excel in her field. When Roxana isn’t transforming smiles she enjoys dancing to her Latin roots, traveling, and spending quality time with her family. 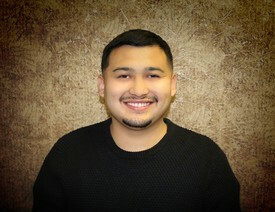 Miguel has worked at Downs Dental as a dental assistant since graduating from United Education Institute in 2009. He continues to refine his skills by participating in continuing education courses annually. While under his care, patients can be assured that their comfort and care is his primary concern. Miguel enjoys teaching each of his patients about the treatments they will undergo because he believes having his patients informed is the best way to bring awareness to preventative care. He feels privileged to be part of a team where their only concern is to return a radiant smile to their patient. Out of the office, Miguel enjoys spending time with family and friends when he is not out on the golf course or watching a good soccer game. Miguel plans to further his education and pursue a career in hygiene in the future. After graduating from American Career College in 2017 as a Dental Assistant, Kayla joined our practice. Here she has been able to come out of her shell and become confident in her field. As a dental assistant she not only aids the doctors but the patients as well. She enjoys how comfortable the patients are with the staff and how willing they are to share their lives with us; making us feel like family. We try to demonstrate that we truly care about our patients by doing simple things like rubbing their shoulders while receiving anesthesia to soothe them, or having a warm towel ready-to-go after their treatments to freshen up. Those simple touches for Kayla are what set this office apart from any other. When she isn’t in the office, Kayla spends her time looking behind the lens of her Nikon D5600. There she is able to capture the unique beauty of any object from a blossoming flower to ocean waves crashing on shore. Her goal is to open up a gallery in Downtown L.A. to show others the beauty we often overlook living in a busy metropolitan city. 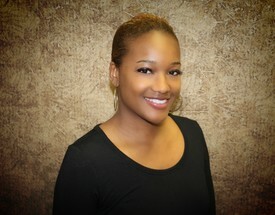 Tierrah is the newest member of the Downs Dental team. After graduating from Lawndale High School, Tierrah enrolled in the West Los Angeles College Dental Assistant program. 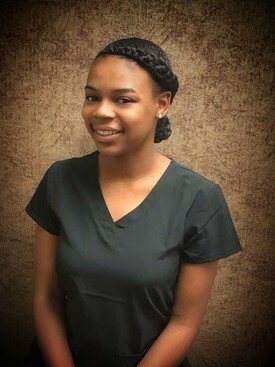 Tierrah completed the program August 2018, becoming a certified Dental Assistant. While working at Dr. Downs office, Tierrah enjoys teaching patients good dental habits and hygiene and providing high-quality care and customer service. When Tierrah is not working at the office, she enjoys playing volleyball, gymnastics and attending poetry clubs. Tierrah often attends dental seminars and health fairs at West LA College and elementary schools throughout the neighborhood, aiding patients in oral hygiene. 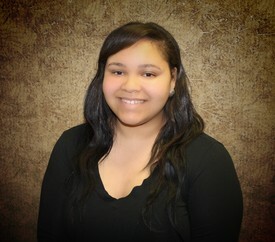 Tierrah will soon be receiving her RDA & Associate of Science Degree in Dental Assisting. 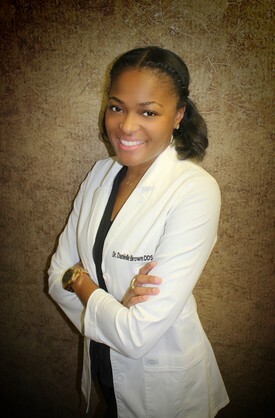 Growing up in Ladera Heights, Brittney has been a patient of Dr. Downs since high school. Brittney has always been interested in teeth since she was young. While in college, Dr. Downs allowed Brittney to shadow his hygienist at the time, which further sparked her passion. Brittney received her Dental Hygiene degree from the University of Southern California almost 10 years ago. Brittney continued her Dental Hygiene education by being laser certified, thoroughly trained in Soft Tissue Management and getting her Alternative Practice certification from West L.A. College in 2015. This certification allows her to work with patients that are homebound and in nursing and skilled facility homes. 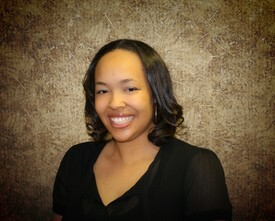 In addition, she is an active member of Inner City Dental Hygiene Committee. Brittney has been the driving force of our hygiene department for over 8 years, encouraging and educating our patients on how to ensure a lifetime of optimal oral health. Her passion is evident by her thorough explanations and caring touch. When not attending to her patients, Brittney takes pleasure in Habitat for Humanity. She also loves staying active through a variety of outdoor activities such as tennis; and enjoys doing a lot of traveling with friends and family. Brittney recently tied the knot in the Dominican Republic. 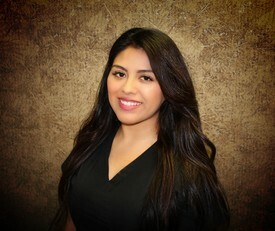 Having recently graduated from Loma Linda University in 2017 in Dental Hygiene, our hygienist Endy wants to hit the floor running; focusing on giving exceptional dental and patient care. Endy refines her skills by completing a minimum of 25 units of continued education to always stay current in her field. She has been a part of many missionary trips to provide dental care to rural areas. She has visited Honduras, Mexico twice in order to provide oral health awareness and treatments to many families. Furthermore, Endy enjoys developing long-lasting relationships with her patients and seeing the confidence a patient gets after receiving their dental treatment. She believes preventative care is just as important, and so she aids patients in developing a good daily hygiene routine. Being a part of our staff, Endy take pleasure in feeling the support from the entire staff every time she comes into work and feels the sense of family that is embedded within us. On her spare time she loves visiting cozy coffee shops to relax after her daily workouts; and as an L.A. native, she loves going to a good Dodgers game and sporting her Dodger blue. Endy is newly engaged and is every excited for what the future holds and to start a new family of her own.